Ecostone satisfies today's demand for style and durability. Most importantly, it is an eco-friendly product made with up to 60% of reused material, as water, electrical energy and raw material. The organic texture and natural colours reinforce the ecological idea of the product. With an attractive natural stone design, Ecostone is great for applications that require greater slip resistance and beauty in a functional floor. Porcelain vent cover made to match Corte Walnut Plank tile. Size - 5-inch x 11-inch Finally a porcelain vent cover that matches your porcelain tile floor perfectly. Our Flush Mounted floor vents add style to any tiling project. Each vent is made from the floor tile you've selected and designed to lay flush with your floor. 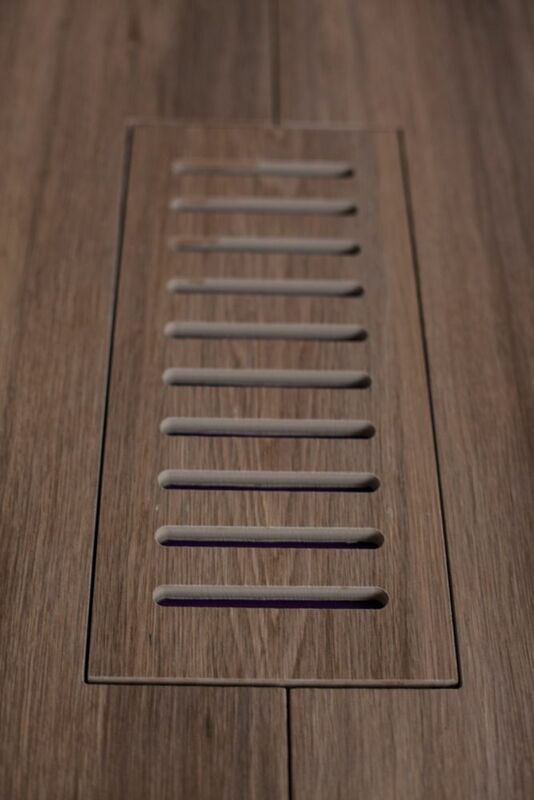 Beautiful, durable and easy to install all of our Flush Mounted floor vents come complete with a sturdy steel back support and a separate diffuser (dampener) levelling plate which allows you to control the air that enters into a room. Adding porcelain or ceramic Flush Mounted vents to your new floor will give your room an elegant final touch. Porcelain vent cover made to match Corte Walnut Plank tile. Size - 5-inch x 11-inch is rated 5.0 out of 5 by 1. Rated 5 out of 5 by Luv2dance from Amazing Final Touch I received the tile vent a few days after I ordered it. It took my installer a little while to install it nice a flush to floor, but it was well worth it. Looks amazing and everyone that walks in my front door asked me where I got it. We found a full video to show us how to install it on youtube under Aodstone Love it.